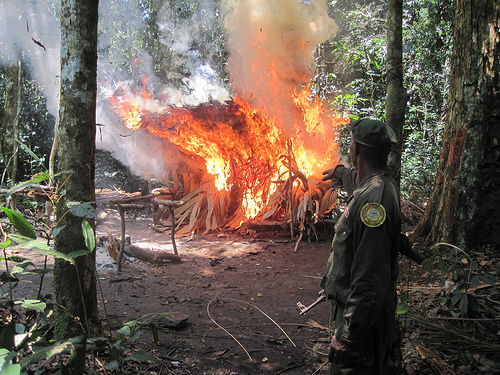 ‘Moses’, a suspected poacher in the Congo jungle, is burning crosses as death threats to National Park supporters, but it’s not enough to derail the Elephant Ivory Project team on to their mission to stop elephant poaching. We just arrived this morning and I already want to leave Kisangani, a city of 700,000 in the center of Congo’s jungle. A cholera outbreak started in the city last week and left 27 dead—200 more cases have been reported. Andy and I are with Terese and John Hart, conservationists who have been working in the DRC for 30 years (check out their project Bonobos in Congo). They’ve agreed to help us plan our mission. But the question of where to start sampling elephant dung isn’t simple. The region Dr. Wasser wants us to sample most, the proposed Lomami National Park in the 25,000 square mile jungle known as TL2, has become even more dangerous. Bush Warriors Wildlife Photography Workshop: Hope for the Future! Only two weeks left in 2010! It really is amazing how quickly time goes by. With this, the last photography post for the year, I wanted to look back at the past year and also start looking ahead to 2011. This year saw the Bush Warriors Photo of the Day grow in leaps and bounds and it has been amazing to follow along and see all the images that people have uploaded. Apart from the obvious visual beauty of the wildlife and nature image there is a larger issue that we need to be aware of and, if at all possible, hold on to and grow even more in future. Every time anybody shares an image of animals in the wild they are creating an awareness. Every time anybody shares an image of a natural landscape they are showcasing the beauty of our natural world. The reality is, and this is looking past the atrocious rhino massacre we have seen during the last year, that the animals and places we photograph and share might not be there for ever. Human greed is unfortunately destroying our natural heritage and, if we do not do anything about it, the only thing we will have left one day are the images of a lost world. A place we used to visit. Now, go and take a look at some of the images that have been uploaded to the Bush Warriors Photo of the Day contest. These images show the natural world we all love. It shows that there are many, many people out there that care enough about nature that they create images of its subjects and landscapes. These images, and all the other ones we share in books, magazines, and on the internet will stand the test of time! So, looking back at 2010 I would like to applaud all of you who have taken the time to not only photograph nature but, and this is almost more important, share those images. After all, why create photographs if you are not going to share them with people. Whether you intend it or not, you are helping to create a visual celebration of the fragile beauty that is nature. Since we are almost at the end of the year, and most of you are on holiday, here is a list of wildlife photographers who share their work on a regular basis and serve as amazing ambassadors for wildlife photography. Check out their work for inspiration or just to marvel at the beauty of nature! What does next year hold for wildlife photogrpahy? Who knows. What we can be sure of that many people, like the photographers mentioned above, will keep on pushing the boundaries. They will keep on producing images that inspire and make us all want to grab our cameras and head out into the wild places of the world. I also believe that photographic safaris will keep on growing in popularity. These safaris give you the opportunity to, not only shoot alongside a professional wildlife photographer, but to go to the most amazing destinations, while being presented with the best photo opportunities anywhere. To that end, next year will see a few interesting partnerships take place so make sure to watch this space! What? Did someone say Bush Warriors Photo Safaris? Like I said, watch this space! On that note I am going to say goodbye and wish you all the very best for the holidays! This festive season I wish you the tenderness of the past, courage for the present, and hope for the future! See you all in 2011 and rememeber to keep those shutters clicking! Click here to see ALL of our Bush Warriors Wildlife Photography Workshops! Sea otters are social animals that can sometimes be found floating in groups (called rafts) of more than 100 individuals. They spend the majority of their time in the water, even giving birth in the frigid sea. Their coat is invaluable- keeping the animal’s skin dry. Unlike other marine mammals that have a thick layer of blubber to keep warm, sea otters have a thick underfur that traps air to form an insulating, waterproof barrier against the cold water. This fur can consist of up to one million hairs per square inch! If a sea otter’s coat is soiled or contaminated with foreign substances, like oil, it will lose its insulating properties and the otters can die from hypothermia as a result. Due to the fur trade in the early 1900’s, the number of otters plummeted from over one million to a mere 2,000. Intense conservation efforts in California, Alaska, and Canada has helped to stabilize their numbers. Although the sea otter population is considered stable, subpopulations in some areas are continuing to decline for unknown reasons. 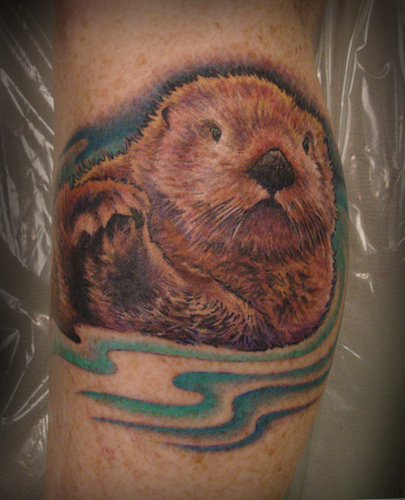 Sea otters are currently listed as ‘endangered’ on the IUCN Red List, and continue to be threatened by oil spills, chemical and biological pollutants, habitat loss and degradation, reduced food sources, disease, fishing gear entrapment, and conflict with shellfish fisheries. Peacocks are colorful members of the pheasant family. 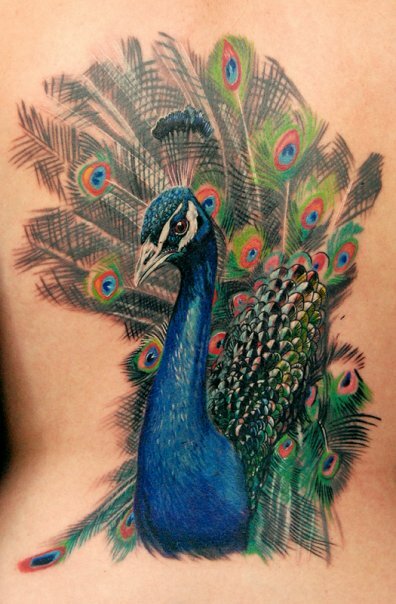 While the term “peacock” is frequently used to refer to both sexes, technically only males are peacocks. Females are peahens, hatchlings are peachicks, and together, they are called peafowl. 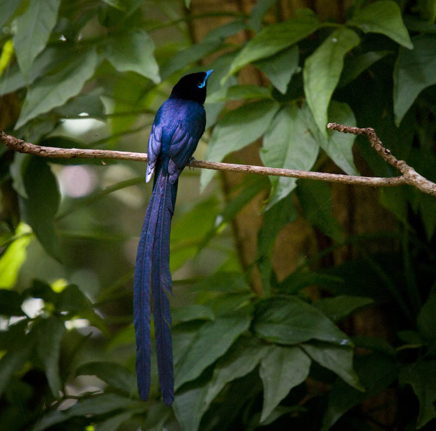 The blue and green iridescent tails of the male are stunning and beautiful. Their tail feathers, also called coverts, create a train that is more than 60% of the animal’s total body length and can number over 200 colorful “eye” markings in blue, gold, red, and other hues. With the length of its train and wingspan considered, peacocks are one of the largest flying birds. Peafowl are omnivorous, feeding on insects, plants, and small reptiles. There are three species of peafowl, all of which are thought to have originated in Asia. Indian Peafowl (also known as Blue Peafowl and Common Peafowl) live in India and Sri Lanka. Green Peafowl are found in the tropical forests of southeast Asia. The third is a little-known and distinct species, the Congo Peacock (‘vulnerable’), which inhabits the eastern stretches of the Democratic Republic of Congo’s rainforests. The Green Peafowl is classified as ‘endangered‘ on the IUCN Red List of Threatened Species. Its status has been uplisted from ‘vulnerable’, which it was prior to 2009. Widespread hunting for meat and feathers, nest poaching, conflict with humans (who view them as crop pests), and a reduction in extent and quality of habitat have been the main factors fueling their decline. Environmental contamination from the use of pesticides and insecticides has also contributed to the demise of this species. The Giant Panda is found only in southwestern China, in six small forest fragments at altitudes above 4,000 feet. 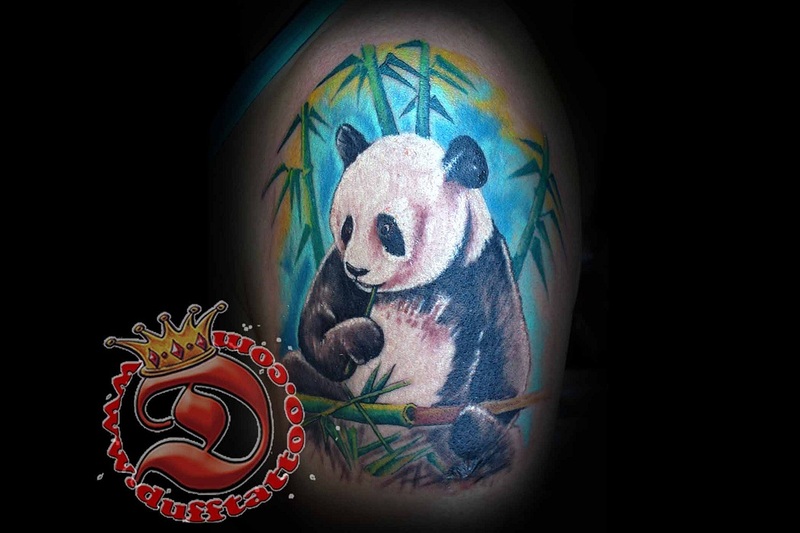 Their limited range is attributed to their dependance on their main food source, bamboo. Their coloration has fascinated us for years, but scientists only have theories to why they have such contrasting black and white colors. One idea is that the coloration helps them stand out in the forest to aid in finding mates. Another is that the contrasting color may be camouflage in the treetops and bamboo. Each panda’s markings are unique and varies from black and white to a rare brown and white variation. Panda’s were subject to poaching for their fur in the past, but harsher punishments for poachers has greatly reduced the incidence. Currently, habitat loss and shortages of bamboo are the primary threats Giant Pandas face.